BetVictor has been online since, well, forever. Previously known as Victor Chandler Bookmakers, they have been operating betting shops in the U.K. for almost 100 years. They only renamed their business a few years ago to BetVictor. As a high street bookie, they operate a fairly good book, though like many of the same business they tend to aim their offerings at the more recreational punter, and try to limit professionals and consistent winners. That appears to be the model for all the well known bookies, and I suppose it is why they are so sucessful. They are properly licenced, with a licence from Gibraltar and one from the U.K. Gambling Commission for U.K. punters. As you might expect, they have a range of online gambling sites aside from their sportsbook, and these include a poker room and a casino. Their minimum deposit limits are among the lowest available from online bookmakers. At this time they do not accept players from the U.S.A. The minimum deposit at BetVictor is just £5.00 and this applies to a lot of payment methods. In other currencies the minimum limits are low, too. You can deposit from €10.00 in Euros and $10.00 in US Dollars. You can deposit starting from these amounts using credit and debit cards, Neteller, Paypal, Paysafecard, Ukash, Skrill and Webmoney, though some options will not be available in some countries. The minimum withdrawal amount starts at just £10.00. The minimum bet amount in the sportsboook is just 5 pence, so you should be able to make your deposit go a long way. There is a mobile app available and it will operate on iphone and ipad, even ipod, and also Android, Blackberry, and even some older mobile phones. 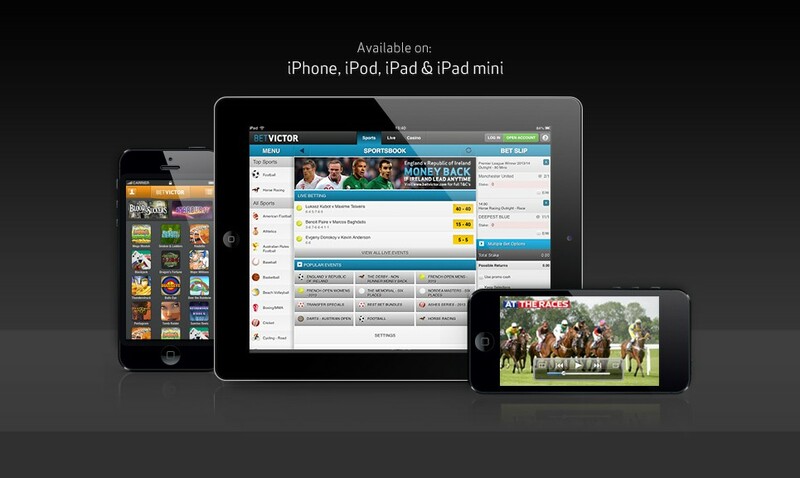 The app covers the whole suite of gambling offerings though you may not want to use all of them. Downloading the app is pretty straightforward, and you can scan a qr code too, or ask for a link. BetVictor does best in the area of special promotions; they may not be for much cash value, but they can add a little bit of extra value to your bets.